With Rutgers taking on Ohio in Piscataway, NJ today, we won’t get to see these jerseys in action, but it sure seems like the Bobcats are more than eager to don these things. 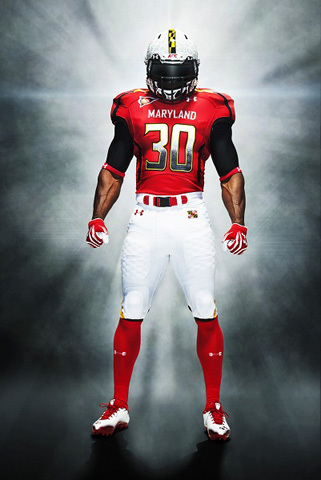 The uniforms are pretty good overall. The black with the green numbers and such works well, it is not too jarring. I also like how Ohio stuck with their usual white helmets instead of trying some sort of matte finish that teams like Oregon have gone with when wearing black jerseys. You don’t always need to look like Darth Vader when playing football.